About Poker Betfair Poker has always had a solid reputation and a very active player base. 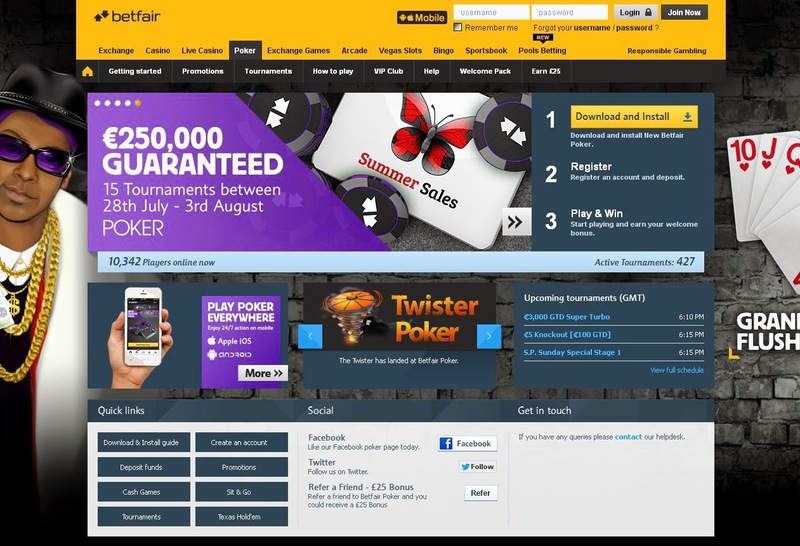 With dependable software, massive promotions and access to an enormous sports exchange customer base, Betfair's now a major player in the European online poker market. 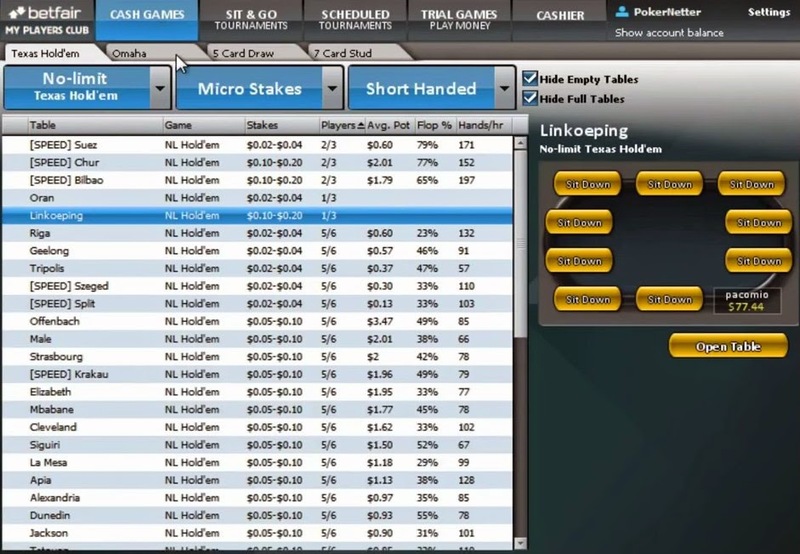 The poker room used to develop its own software but officially joined the iPoker Network. It's a move that has benefited Betfair greatly as traffic has been steadily climbing since the move. You can now play more than 15 simultaneous tables. 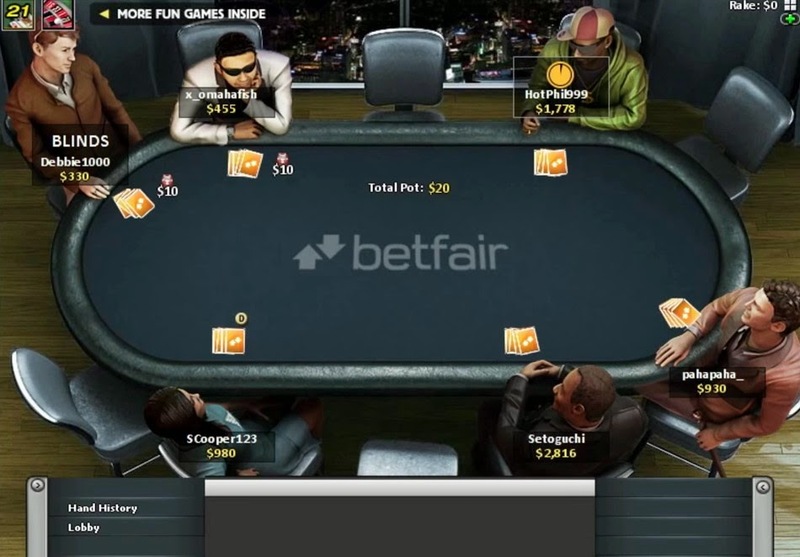 Poker Promotions and Bonus New players are richly rewarded for signing up with Betfair. The "New Player Pack" offers a variety of rewards for players signing up for the first time. First time players receive a 200% bonus good up to $2,000. Deposit $100 and you get a $200 bonus. Next, players receive five $1 Sit & Go tokens that are good for the first seven days that you're a player. You also receive eight freeroll tickets. Four are for $250 freeroll events and the others are for the weekly $1,000 Weekly Welcome Freeroll.